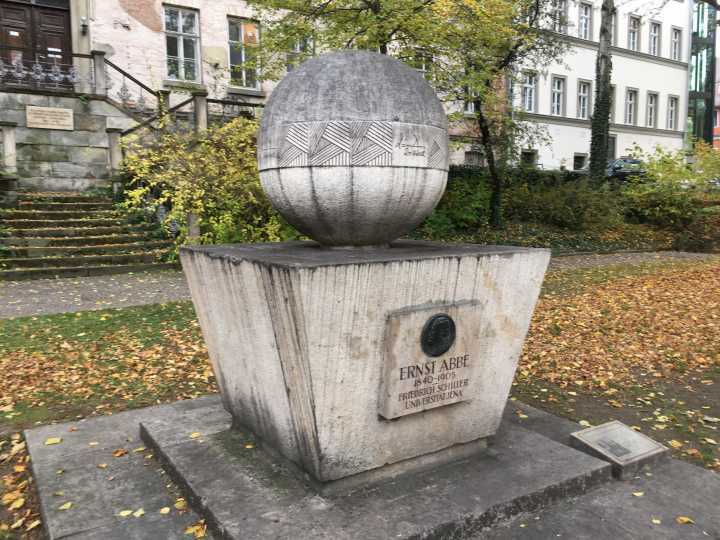 The task of the week is this time aboutthe Ernst-Abbe monument in Jena, Germany. How often does the volume of the sphere fit into the truncated pyramid? To solve the problem, the sphereand the truncated pyramid must be measured in order to calculate their volume. Then divide both sizes. The interesting thing about this task is that the solution interval contains a special number .